Facebook has over a billion monthly active users, who now spend more time “updating their statuses” than they spend checking their emails. This underscores the power social media has to communicate with existing and prospective new patients. 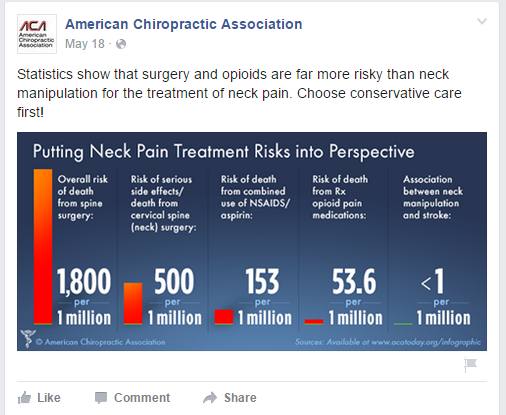 That being said, running a chiropractic practice while engaging patients online can be challenging, to say the least. To lend a helpful hand, consider these social media post ideas to give your Facebook page a facelift. In doing so, you’ll encourage followers to engage with your practice both online and offline. People enjoy talking about themselves, particularly on social media. Pose a question to your Facebook followers about their daily habits. Then ask them to “like,” comment, or share your post. After finding an interesting story, fact, or video you believe the average patient might find surprising, share it on your Facebook page. Be sure that the information does not contain too much jargon. Instead, make sure it focuses on the typical person who is, or may be, interested in chiropractic care. Whether it’s on a business page or on one of your friend’s pages, you’ve probably seen motivational messages frequently posted on social media. 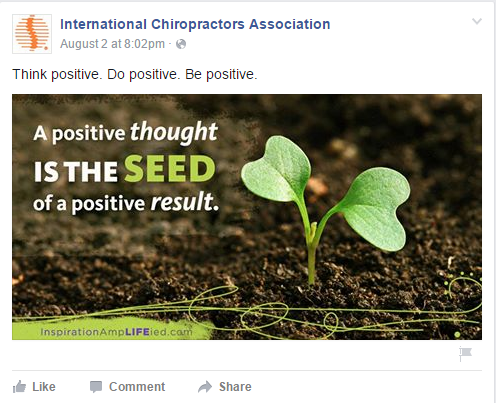 For many people, it’s difficult to scroll past an inspirational message in their news feed and not click the “like” button. Controversial or divisive content: While it might be tempting to comment on controversies, you risk isolating a significant portion of your patient base. Posts that seem prideful: While it’s great to showcase your achievements, you want to be tactful in your approach. The last thing you want is to come off as arrogant or boastful. Posts that reveal patient information: When posting photos or information about a patient, be careful not to reveal personal health information. 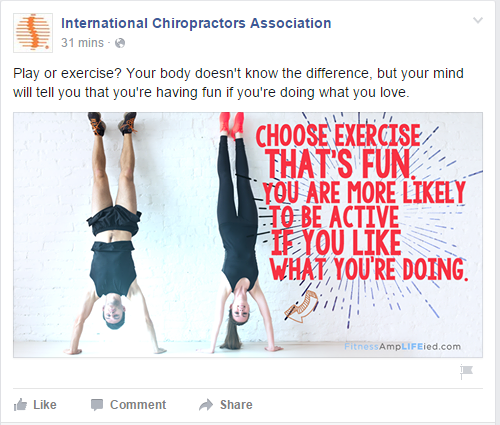 By keeping your Facebook followers active, you’ll keep your practice top of mind. You’ll also present new opportunities to gain new patients. After all, keeping your existing patients engaged means more repeat appointments and more referrals! Ready to get your social marketing efforts started? Join our social media experts on Tuesday, November 14th at 1pm PST/4pm EST as they share tips on how to engage your social media followers to improve retention and get more referrals. « Introducing New Chiropractic Websites for Movement Chiropractic and more!